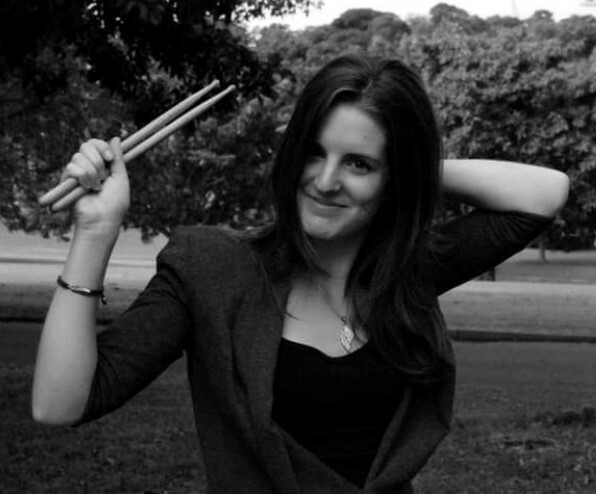 Jodie Michael is a drummer currently studying in the Global Jazz Masters program at Berklee College of Music. ArtSake recently caught up with her to learn more about her experiences as a student and being a jazz instrumentalist. Why not drums?! The drums were always an instrument I felt a connection to, prior to making it my career. When I decided to take it up I felt a responsibility, a rhythmic responsibility, to my fellow musicians, that was almost addictive. I’ve been obsessed with them ever since and will continuously strive to reach the highest calibre of artistic expression through them. From the traditional jazz/improvisatory artists we all know and look up to, as well as those in various avant-garde, RnB, hip hop and classical music, I draw my influence from a broad range of styles. My favorite drummers are Elvin Jones, Tony Williams, Jack DeJohnette, Paul Motian, Philly Joe Jones, Art Blakey, and from the younger generation: Tyshawn Sorey, Terri-Lyne Carrington, Nasheet Waits, Greg Hutchinson and Brian Blade. What’s it like for you to be a student at Berklee College of Music? Studying towards my Global Jazz Masters at Berklee College of Music has allowed me to grow as a musician in ways I never mentally conceived of in the past. From working with an amazing faculty and roster of visiting artists, to opportunities of international travel and community outreach, Berklee has pushed me to realize the incredible potential music has to change lives on not just a personal/local but a global scale. What’s your biggest challenge musically? Musically, a challenge I have identified in recent times is more a mental/emotional obstacle then technical/aesthetic. To sit down at your instrument and be totally free and non-judgemental is something I strive towards in every opportunity of performance/practice. To silence the voice that tells you you are “less than” and unworthy! Favorite place for a quick bite to eat between classes? My health and well-being are things I take very seriously so between/after classes I enjoy cold-press juices from Honeygrow and matcha tea/beverages/snacks from ByChloe and Tatté. What’s the most surprising response you’ve received about you playing? The most surprising responses in regards to my playing are from audiences that have not previously been exposed to the sort of music we present at Global. I think we the musicians were more surprised with their participation and enjoyment then the audience themselves! I plan to move to New York during my OPT year following my degree completion in the summer. I will work as a freelance musician and develop my professional and personal network, as well as continue to study and explore the possibilities of taking my music into a global setting. I want to reach as many diverse and far-reaching locales/audiences as possible. The Berklee Global Jazz Institute has taught me the positive responsibility I have not just to myself and immediate community but to the whole world through my practice in music and creativity. Image credit: Photograph courtesy of Jodie Michael.